I’ve recently had a need to produce a number of PCBs with a large number of surface mount components. 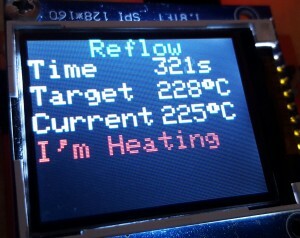 After having struggled to hand solder the components, I decided to build a reflow oven and use solder paste. There are a number similar projects on the web, after looking at these I put together my own reflow oven based on a cheap toaster oven. 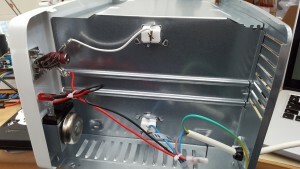 Removal of the case is easy, a few screws on the rear and base. The thermostatic control is attached to the heating elements using spade connectors. These are easily removed. 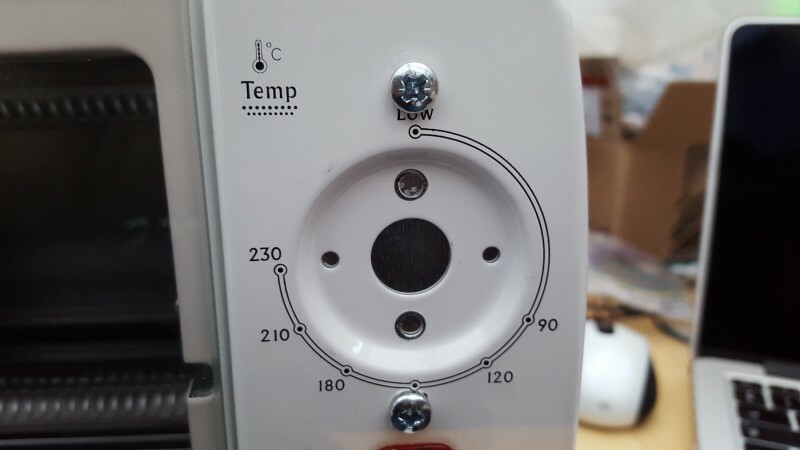 The knob and thermostatic control is then unscrewed. 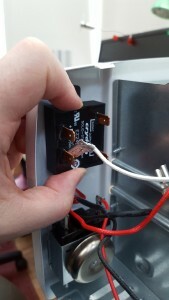 The replacement solid state relay is checked that it will fit. 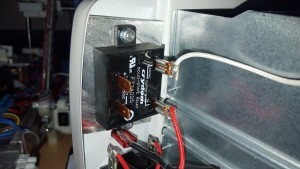 Marking out the position of the relay mounting holes. The relay is mounted onto a 4mm thick aluminium plate to provide a sort of heatsink for the relay. 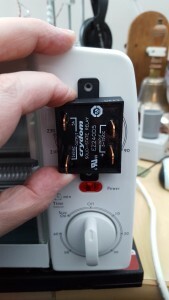 From the outside, the relay is hidden from view. The existing on-off-timer switch is preserved with the stay on position used to turn on the reflow oven. 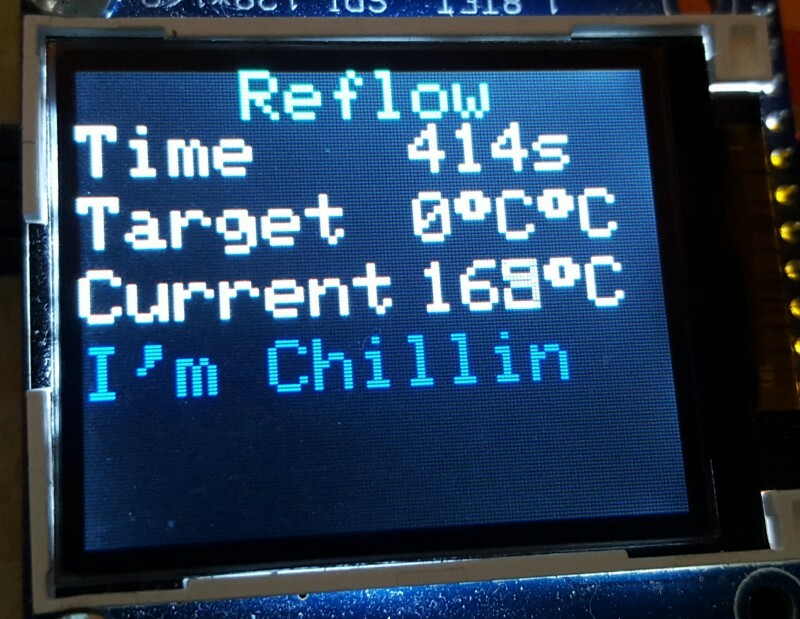 The controller is based on my wireless display module with the addition of a thermocouple amplifier and the relay control. 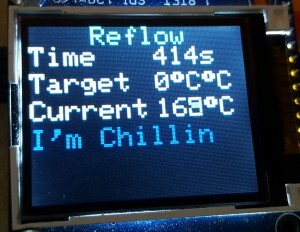 The software goes through a heating and cooling sequence with the target and current temperatures displayed. The controller is showing it has turned of the relay and is not heating the oven. 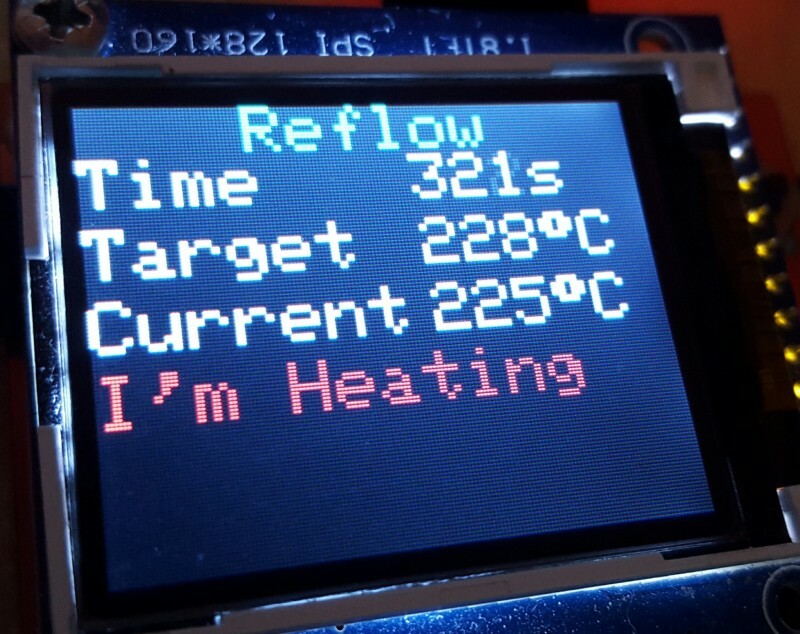 Initial tests of the reflow oven have been favourable with single boards, 4 boards and 2 boards at a time. 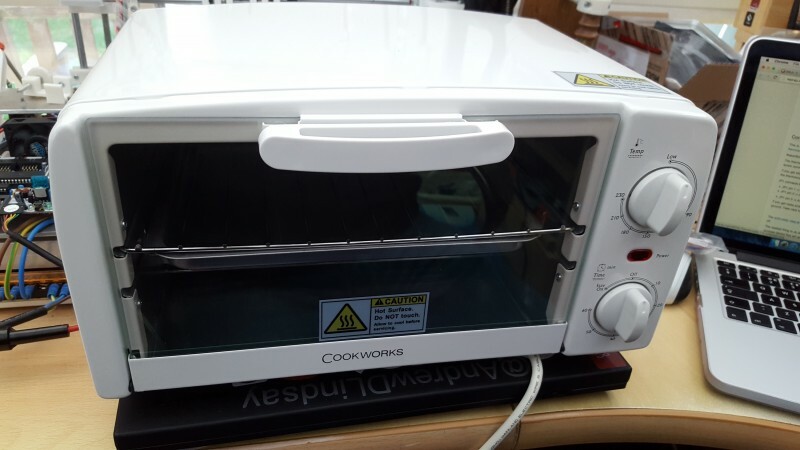 There are still some improvements to make to the oven and these will be covered in a later update.